Scroll Down for Switches, Extensions and other great support and setup gear, click on any photo to enlarge the view! FMA's outstanding single port, single cable Multi-Chemistry balancing charger, handles anything you are likely to need to charge, anywhere. Simplest, easiest to set up and use charger for A123, absolutely ideal for A123 support at the field or at home with a separate 12v supply. 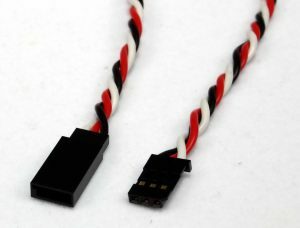 And.. we've packaged it with the correct charge cord for any of our 6.6v 2 cell A123 packs as well as any 4 or 5 cell Nicad or NiMH Rx or Ignition pack equipped with an R/C system standard Futaba, JR/Univ, Specktrum, Hitec or Airt Z connector. That's right.. 90% R/C system coverage, right out of the box, nothing extra to buy. Just some of the features..
Just $69.95 and it includes our custom charge connector! "..lowest priced single cable A123 balanced charging solution available anywhere. FMA has done it again!!" Includes the FMA CellPro Charger to Univ Cell Tap Adapter Cable! 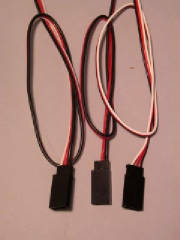 Nicad or NiMH packs with FJ, JR/Univ, Hitec, AirtZ connectors. Just $69.95, ready to go! Here's an excellent little AC/DC single port charging station for all battery types, will handle anything you are likely to need to charge, anywhere. Straightforward 4 button programing logic and when coupled with our unique optional 'Combo Solution Charger Cable' makes single cable balance charge support for our A123 Rx & Ignition packs via a chargeport switch a piece of cake. Even better.. this charger has a cycler! AND it's own built-in AC supply! Works from 12v too! 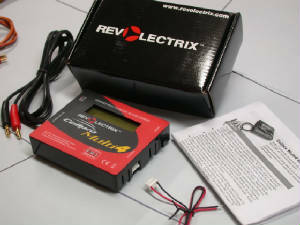 That makes this an excellent pick as an entry-level smart charger for any kind of pack and any kind of flyer.. from NiCads & NiMH to Lithium's & A123's, Motor packs, Tx packs, Ignition packs, ECU packs, regardless of technology type, at the field or on the bench. Finally.. big competent 'smart charger /cycler ' features with a small field box footprint and all at a modest price. Note: the 'Special' does NOT include the Univ Tx / Rx cord set. To get all the cord options, choose the 'Deluxe' Version in the cart & SAVE $17.95! 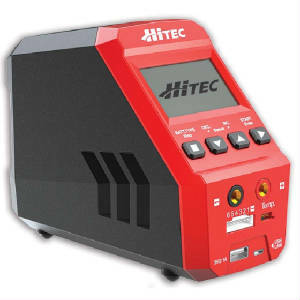 "..finally, an AC/DC multi-chemistry Smart Charger/Cycler package for WAY under a hundred bucks, complete!!" X1 Basic includes: Charger with AC Cord, Charge Lead with XT60 type Connector, 18g Charge Lead with Bare Wires, JST-XH 2S - 6S 'Balance Board' and Instruction Manual. 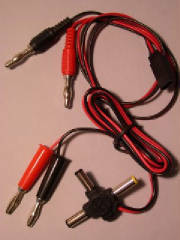 X1 Special adds our NoBS 'Combo Solution' A123 Charge cord, $24.95 value, X1 Standard includes our Standard FJ/JR univ Rx & Tx cords, etc .. see below. Add to the OEM cable set with these Package Options, just add your choice of these additional output cables.. Save up to $17.95! Order it with the cables you need, for the type packs you intend to charge. Here's an excellent little 12 volt 5 amp output switching power supply that's ideal for the FMA Multi 4 or the Hitec X4 Multiport charger. Takes just about any 12v supply charger from the field to the bench at home. Runs from any 110v grounded socket outlet in your home, has banana plug type ouputs you plug your charger right in to. This high speed, opto-isolated, PC USB interface module is designed to provide safe, 2-way communication between FMA Chargers and a PC USB port. For use with free PC software, supports firmware updates, and PC compatible GUI software for the FMA Multi-4 Charger and other FMA products. Drivers for this device are available from FMA for the Multi-4 by clicking the link "download usb driver", below. JST-XH & FMA Multi4 Charger to Univ Cell Tap Adapter Cables. The adapter cable allows easy access to the pack in the plane via a conventional chargeport equipped switch or separate chargeport. The choices available provide connecting compatability with the vast majority of A123 capapble balancing chargers. 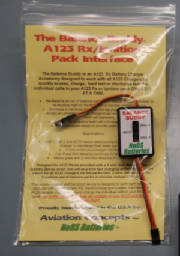 See the A123 setup Guide and the A123 FAQ page for info on how to take advantage of in-the-plane access for checking individual cell voltages or balancing A123 Rx & Ignition packs. Note: If you planning on buying an FMA Multi-4 Charger from us, it comes WITH the appropriate Adapter cable for NoBS A123 Rx & Ignition packs at no extra charge.. Wish your two lead A123 charger could balance charge with just one connection to the pack or switch? 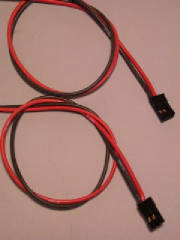 This excellent Combo Chargecord works across a broad spectrum of JST-XH balance plug or board compatible 2 lead (1st generation) chargers like the TP 610C, B6AC, etc; Allows single cable balance charge connection to a JR/Univ HD Chargeport switch if used with any NoBS A123 Rx or Ignition pack equipped with a 20g 3 Wire Combined Univ Balance & Power Feed. Makes balance charging with most 2 lead chargers through a single HD chargeport switch simple and easy WITHOUT a separate chargeport and it's fully compatible with Balance Buddy too! For use with 2 lead chargers that have a JST-XH compatible balance board or output port; intended for NoBS A123 2 cell Rx & ignition packs equipped with 20g 3 Wire Combined Univ Balance & Power Feed connected to a modified JR/Univ HD Chargeport switch. See our A123 Setup Guide for info on the switch mod. Check your chargers manual for JST-XH plug compatibility!! Note: For chargers with banana plug outputs ONLY! Supports A123/LiFe, Nicad/NiMH & Li-Ion Rx & Ignition Packs! We’re thrilled to introduce the ultimate in integrated monitoring systems for your Radio Gear and Battery Packs. VoltMagic monitors pack voltage, radio glitches, peak low voltage and intermittent system interruptions and will even track and report marginal Voltage Regulator and/or Battery Pack performance under actual flight loads! Up till now you’d have to spend hundreds of dollars and drag along a laptop to get this kind of data on flight safety critical system performance. Ideal for high-drain, high load digital servo applications! If you’ve got an aggressive 3D or aerobatic aircraft THIS device is what you need. Easy to install (just plug it into your receiver), simple to program and it weighs less than an ounce. Reports at the end of your flight the peak low voltage sustained under load, the number (if any) of glitches or 'radio hits' and stores the info for display even after you turn your radio system off! Constant real-time reporting of actual voltage of your system! For use with 2.4 GHz, PCM or regular FM radios systems, 4 cell and 5 cell Nicad or NiMH packs, 2 cell Lithium, including specialized programing options for A123 packs. Works seamlessly in all types of system installations; including regulated systems! Just $29.95 NOTE: IN STOCK! All Backorders cleared, shipped as of 05/10. Comes complete with a HD gold plated universal system connector and Illustrated easy to follow setup instructions for ALL radio systems. Click the picture below to view the instructions, setup guide and specs! Full Support for A123 Packs as well as Nicad, NiMH, LiIon and Lipoly packs, for Non-regulated and Regulated systems. Six volt packs provide faster servo transit and more torque for big control surfaces. In some applications with older JR digital servos a regulator is required; in some others 'jittering' is an issue with freshly charged 6v packs. A123's on some Ignition Modules provide higher voltage than the module can tolerate... A regulator is the cure! Key Features: • Universal Connector • Input Range: 4.8V - 8.4V • Selectable Output: 5.95V or 5.4V • Current: 5A continuous, 10A peak @ 7.4V input and 5.95V output, Weight: 0.7oz. Works with 4,5 or 6 cell NiMH/Nicad and 2 cell A123 Lithium packs. If the supply voltage drops below the output set voltage the regulator is automatically bypassed. Fully 'plug and play' ready, comes with HD gold plated 22g Univ system connectors and instructions. 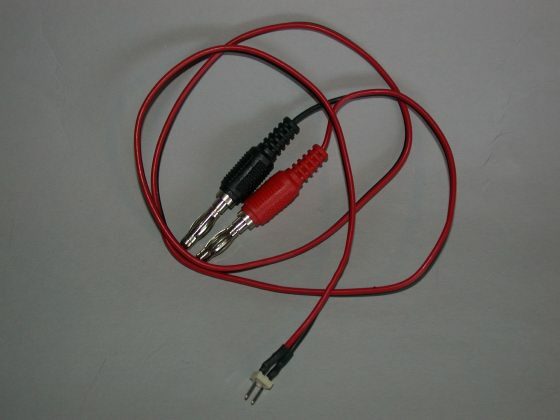 Comes with Univ Connectors for input and output and it fits all current radio systems. *Note: A123 rated, Designed specifically for 2nd generation single lead balance charging! If you have a 1st generation two lead balance charger, use the 'Combo' charge cord sold above, NO SEPARATE CHARGEPORT REQUIRED! This combines an Extra HD 22g dual pole, dual throw switch with 4 redundant contacts and charge port with 'hood' into one faceplate. Extremely high quality 'bakelite' type plugs and gold contacts. This is an outstanding HD switch for high current digital servo applications. Designed for Nicad or NiMH sytems originally, this DSC Compatable (direct servo connection) 3 wire switch can be easily 'moddded' to use A123 packs w/ the combo 20g 3 wire power feed for direct access to balance charging A123 packs in the plane, via the switch chargeport. Comes with a vibration pad for installation, 'switch guard' faceplate, closeable chargeport hood and makes for a very neat, easy to install assembly. 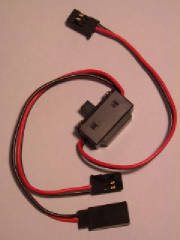 This switch is a complete 'one hole' solution for switch and chargeport setups for each of your packs.. Rx or Ignition. 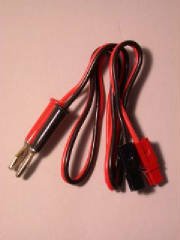 Very light (.5oz) & durable; use two of these for parallel Rx battery installations. The most common source of failure in an R/C system is a worn-out or intermittent switch. Vibration, fuel soaking and contact wear all contribute to the degredation of the switch. If it's time to replace a pack, it's likely time to consider replacing the switch. Very high quality 20g Twisted 3 lead extensions, suitable for the most rigorous high load digital servo and battery extension applications. Supple, flexible, twisted to help prevent RF glitches, flashed gold pin contacts, strong housings. Absolutely superb! These are designed for direct plug in use without any modification for any Futaba, JR, Hitec, Spectrum and Airtronics 'Z' system. 22 gauge 2 wire type male for Futaba J systems, 22 gauge 2 wire type male for Hitec/JR/AirtZ systems, 22 gauge 2 wire type male for OLD Airtronics systems. 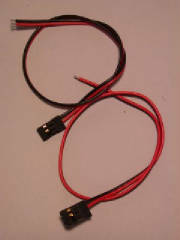 18 gauge 2 wire type male for Futaba J systems and 18 gauge 2 wire type male for Hitec/JR/AirtZ systems. Super flexible, feels like limp spagetti. Very high strand count, excellent current handling and chafe resistance. Originally developed for a robotics application, this wire is ideal for custom wiring harnesses for Electrics and Giant Scale utility uses. The Secure Online Visa MasterCard & PayPal Shopping Cart system is also available for 24/7 ordering convienience. Secure Online Shopping! No PayPal account required, Visa, MasterCard accepted.